Initiation of joint attention is a critical developmental function related to further social communicative development in infancy. 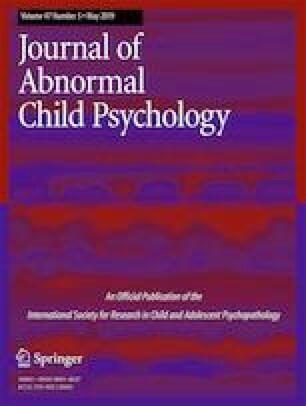 Joint attention appears to be impaired very early in life for children with autism spectrum disorder (ASD), well before a formal diagnosis is established. To observe the early development of joint attention, we prospectively followed infant siblings at high risk for ASD (HR) and low-risk (LR) infants. Initiations of joint attention behaviors were coded with respect to frequency, quality, and variety from videos taken during the administration of the Autism Observation Schedule for Infants. Participants were further stratified based on the presence of ASD (n = 17) or language delay (n = 19) at 3 years of age. Our results revealed that initiations of joint attention are impaired from 12 months of age in both children with ASD and those with language delay, especially for use of gestures (i.e., showing and pointing). At 18 months, fewer initiations of joint attention in all three dimensions distinguished infants with ASD, compared to infants with language delay and HR and LR infants without a diagnosis. Beyond the definition of initiation of joint attention as an early sign for ASD, clinical implications of these results concern the importance of intervening on frequency, quality, and variety of joint attention as early as possible in infants at heightened risk for ASD. The authors would like to thank all the families who kindly volunteered to participate as well as everyone involved in data collection. This work was supported by the Canadian Institutes of Health Research [grant number MOP102655], and Autism Speaks Canada [grant number ASCanada-2010-01]. MF was supported by an individual grant from the Swiss National Science Foundation (grant number P2GEP1_171686). SEB and IMS were supported by the Joan and Jack Craig Chair in Autism Research. The authors declare no conflicts of interest. LZ was supported by the Stollery Childrens Hospital Foundation Chair in Autism. Research Ethics Boards approved the study protocol at each site. Participants’ parents gave their informed consent. Noldus Observer XT (2013). http://www.noldus.com/human-behavior-research/products/the-observer-xt. Ozonoff, S., Young, G. S., Belding, A., Hill, M., Hill, A., Hutman, T., et al. (2014). The broader autism phenotype in infancy: When does it emerge? Journal of the American Academy of Child and Adolescent Psychiatry, 53(4), 398–407.e2. https://doi.org/10.1016/j.jaac.2013.12.020. Zwaigenbaum, L., Bauman, M. L., Fein, D., Pierce, K., Buie, T., Davis, P. A., et al. (2015). Early screening of autism spectrum disorder: Recommendations for practice and research. Pediatrics, 136 Suppl 1(supplement), S41–59. https://doi.org/10.1542/peds.2014-3667D.